Looking for a Dodge, Chrysler, Jeep, Ram service center near you in the Houston area? At AutoNation Chrysler Dodge Jeep RAM Houston, we make servicing your Dodge, Chrysler, Jeep, Ram an easy, convenient, and worry-free process. Whether you are coming in for scheduled maintenance, warranty work, or more extensive repairs, you can rest assured knowing your Dodge, Chrysler, Jeep, Ram will be in the hands of our expert technicians. To get started you can schedule service online or give us a call at (844) 399-3124 to speak with a service advisor, whichever works best for you. 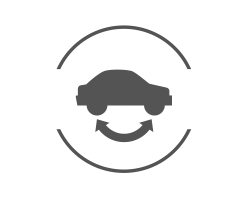 Why Choose AutoNation Chrysler Dodge Jeep RAM Houston? When you go in for a health checkup, you trust that the doctor can diagnose any issue and has the knowledge and equipment to make you feel better. 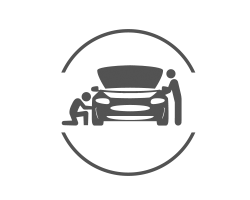 Think of the technicians at AutoNation Chrysler Dodge Jeep RAM Houston as doctors for your Dodge, Chrysler, Jeep, Ram. You can trust that they will take care of your vehicle and get it feeling like new again. Our Dodge, Chrysler, Jeep, Ram doctors are not empty-handed. 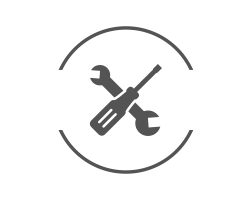 Just like how you would not want some off-the-shelf equipment diagnosing you at a doctor's office, we do not believe in using generic tools and parts when servicing your Dodge, Chrysler, Jeep, Ram. Step inside the operating room at AutoNation Chrysler Dodge Jeep RAM Houston, and you will find only the best tools and parts engineered to work exclusively with your Dodge, Chrysler, Jeep, Ram. Our technicians have access to the latest Dodge, Chrysler, Jeep, Ram specific software updates and diagnostic equipment ensuring every vehicle is maintained and repaired in the correct way and to the latest standards. When you have service done at AutoNation Chrysler Dodge Jeep RAM Houston, our database maintains a history of your vehicle's repairs. Having your vehicle's service history on hand helps us determine what is needed next, which is one less thing you have to worry about. You will not find these tools and technologies at any regular vehicle repair shop. We know your time is valuable. If your vehicle needs more extensive service, or you need to be somewhere else, we can offer transportation options for you. At AutoNation Chrysler Dodge Jeep RAM Houston, we hope to make servicing your vehicle less of a chore by providing you these convenient options. Changing the oil in your Dodge, Chrysler, Jeep, Ram is a necessary step in maintaining your engine's reliability and performance. Performing an oil change is the easiest way to maintain the long-term health of your vehicle. The brake pads on your Dodge, Chrysler, Jeep, Ram will wear out over time, so replacing them is a necessity. Brake repair should be part of your regular maintenance schedule so your vehicle is always able to stop effectively. You need to rotate the tires on your Dodge, Chrysler, Jeep, Ram to maintain even wear from front-to-back and side-to-side. Having your tires rotated at Dodge, Chrysler, Jeep, Ram Hunt Valley on a regular basis will ensure they last as long as possible.